New York : In the first reported case of prolonged Zika infection in newborns, physicians have described the diagnosis of a Brazilian baby born with Zika infection in January 2016 who remained infected even two months and one week after birth. As far as doctors knew, Zika clears up after a week or so. The new finding suggests that newborns may continue to be at risk from the virus at a time when their brains are still rapidly growing and developing, NBC News reported. The baby was born with three kg, 48 cm in length and the head perimetre of 32.5 cm, slightly smaller than the 33cm recommended by the World Health Organisation (WHO), researchers from the University of Sao Paulo and the Santa Casa de São Paulo hospital in Brazil reported online in The New England Journal of Medicine. At first, doctors did not detect signs of any neurological abnormality: the analysis of the cerebrospinal fluid and the exams of the eyes and the ears showed normal results. Images taken by MRI, though, showed a reduced brain parenchyma, foci of calcification in the subcortical area and compensatory dilation of the supraventricular system. 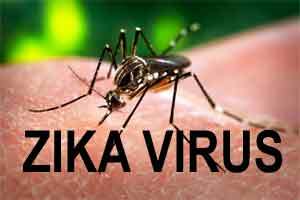 These results and the fact that the mother’s symptoms of Zika infection appeared in the seventh month of pregnancy when it is thought that the damage to the fetus is less severe than when the infection occurs earlier in pregnancy led to a first diagnosis of mild microcephaly. After 54 days of life, the baby showed no illness or neurological impairment. However, at six months, doctors noticed delayed psychomotor development, with an abnormal increase in the muscle tone and reduced muscle stretchability. Also, spastic hemiplegia (cerebral palsy) was detected. These characteristics imply a more serious condition than diagnosed before. The baby’s father traveled to the Northeast of Brazil and showed symptoms of Zika before his wife. It may indicate that the virus could have been sexually transmitted. Serological tests confirmed the infection in both parents.